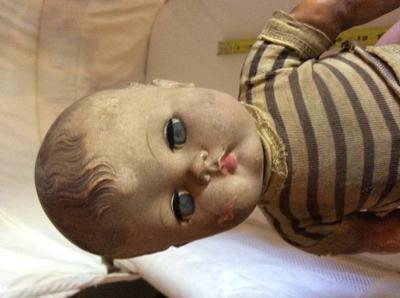 Antique doll. Unsure of origin and identity. 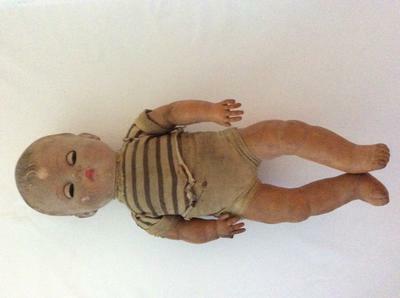 Soft vinyl like body all one piece with bisque socket head. Body is stuffed with sawdust possibly. Hair is molded. Eyes open and close, sleepy eyes, blue eyes possibly glass. Closed mouth no teeth. 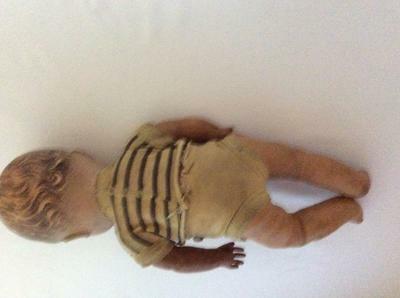 Cannot find any markings, but I am afraid to handle it too much because the clothes are disintegrating and I don't want to damage the doll. Possibly from the 1920's is my best guess. 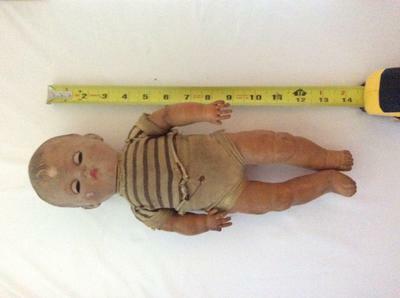 Doll is 13.5 to 14 inches in length.